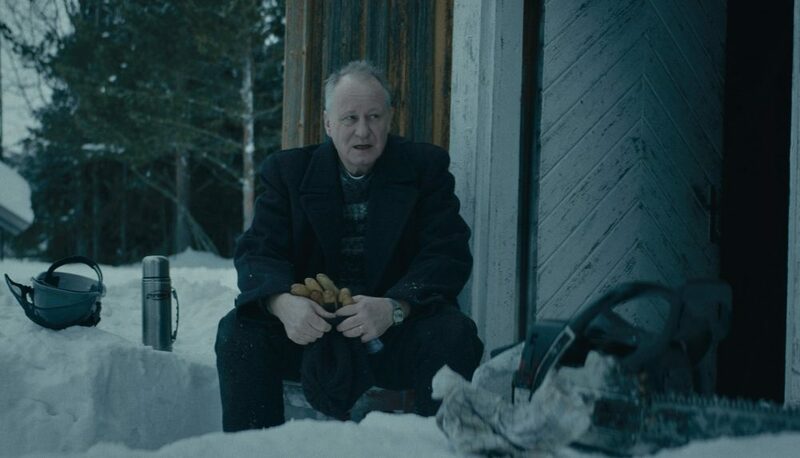 The director of "Cold Pursuit" returns to his native Norway for a sensual but disconnected Stellan Skarsgård vehicle about memory and loss. Given that Hans Petter Moland just spent a few years remaking his own Euro-thriller as a commercially viable Liam Neeson vehicle, you might assume the prolific filmmaker is pivoting to a global audience. Not so fast. His latest feature — a tender and meditative drama that screened in Competition at the Berlinale less than 24 hours after “Cold Pursuit” opened in theaters — is nothing if not distinctly Norwegian. And, like so many of that country’s finer things (herring, free healthcare, general happiness, etc. ), it may prove too particular for closed-minded audiences on the other side of the Atlantic. Adapted from an acclaimed novel of the same name by one of Oslo’s most famous authors, “Out Stealing Horses” is as inextricable from its setting as the streams that run through it, the logs of timber they ferry across the Swedish border, and the violent Nazi history that’s embedded on either side of their shores. Even if Moland recast the leads with Bradley Cooper and Timothée Chalomet (both of whom would crush it, by the way), it would still be impossible to Americanize. Here — as in most cases — that’s hardly a bad thing. The madeline-like specificity of this memory-driven story is its greatest strength, even if it relies on a rusty structure of nested flashbacks in order to reach the past. “Out Stealing Horses” begins in a cold and dark Norwegian village in November 1999, where an aging recluse named Trond (Stellan Skarsgård) is waiting out the weeks until Y2K. After spending a few decades in Sweden, he’s moved back home. It appears as though he’s living the life of a despondent old man, but Trond uses the movie’s voiceover narration to tell us otherwise. “If you were to hear how my life went,” he says over the opening twangs of Kaspar Kaee’s spare but wholly brilliant score, “you would hear my life went well. I was lucky.” Well, we’re about to hear how his life went — formative swaths of it, anyway — and there’s room to draw other conclusions. The first thing we learn about Trond is that he was behind the wheel of the car accident that killed his wife three years ago. “I don’t feel guilt,” he alleges. “Only loss.” Someone once told him that people can choose what and when things hurt them, and it seems as though Trond has mastered the art of emotional determinism; things happen, and how we live with them is up to us. Nice as it sounds, that zen philosophy is put to the test when a man with a faraway look in his eyes chases his dog into the forest beyond Trond’s house one night and tells him a long and vaguely sociopathic tale about shooting a German Shepherd as a child. That’s enough to trigger a super vivid flashback to Trond’s own childhood and the idyllic summer he spent with his dad in 1948. Maybe the forest really was that lush back then, as it certainly looks idyllic when strained through the sieve of Trond’s memory. The war had only ended a few years ago, but there’s no sign that anything so terrible ever troubled these crystal waters. The world is beautiful. The wild horses that teenage Trond (Jon Ranes as a silent but expressive vessel) and his best friend Jon (Sjur Vane Brean) hijack for rides are beautiful. Jon’s mom (Danica Curcic) is beautiful, and even though these flashbacks aren’t explicitly subjective, it’s easy to believe that Trond remembers the exact pattern of the blue dress she wore while chopping timber. Even Trond’s woodcutter father (Tobias Santelmann) is beautiful, like he’s made out of sinew and oak. In a way, that was the summer things went wrong — the summer that started with a fatal accident involving Jon’s little brother, Lars. Could that be the same Lars whose dog wandered onto Trond’s property 51 years later? That’s not much of a mystery, and Moland’s film — for better or worse — isn’t very interested in suspense. There are isolated pockets of thick air every now and again, especially when the silent hostilities between Trond and Jon’s fathers threaten to boil over, but “Out Stealing Horses” is less attuned to drama than it is to nature; less preoccupied with what happened than with locating Trond’s place in those events. Much of the movie is a series of flashbulb snapshots: Jon crushes a bird’s nest with his bare hand, a beetle climbs out of the dirt, Trond does naked handstands with his father on the grass outside their house (it was a different time). The movie’s one perfect scene evokes “Dancer in the Dark” as the men saw a tree in time with the handclaps on the score, creating a mellifluous harmony between real and imagined realms. It’s sensual cinema of the purest kind, though these poetic moments are held together by a rigid grip that doesn’t allow them to flow together. “Out Stealing Horses” dies between all of its different scenes, and is only revived for some of them. Each cut back to the present, however infrequent they might be, naturally stops things cold. The characters are too internalized and repressed for Moland to string their feelings together into a meaningful constellation. The novel was filmic, and this film is novelistic in turn, but so faithful to the form of the source material that it struggles to find any life of its own. 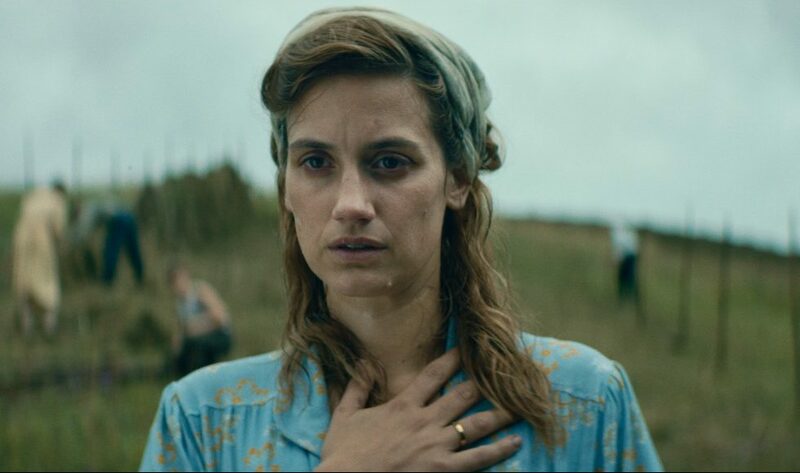 As a result, this adaptation only thrives in self-contained stretches — in articulating young Trond’s unsure, borderline Oedipal desire for Jon’s mother, or the look on a certain woman’s face when she reads a fateful letter. When Moland reaches for the thoughts that bind this fractured narrative together, the words are there, but the sentiments feel as if they’re being layered on top of the film like a glaze rather than suffused into the wood itself. By the time the opening lines of “David Copperfield” are invoked, and “Out Stealing Horses” is reframed as a portrait of a man who’s always lived as though he were a supporting character in somebody else’s story, that man barely seems connected to the boy he was. But with the millennium around the corner, and fireworks in the sky above, perhaps it’s not too late for Trond to take control. To not only choose when it hurts, but enjoy when it doesn’t. “Out Stealing Horses” premiered at the 2019 Berlin International Film Festival. It is currently seeking U.S. distribution.